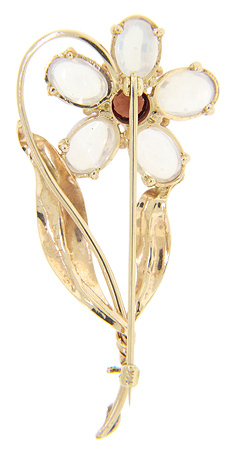 A single faceted garnet is set in the center of five oval moonstones on this 14K yellow gold retro-modern flower pin. 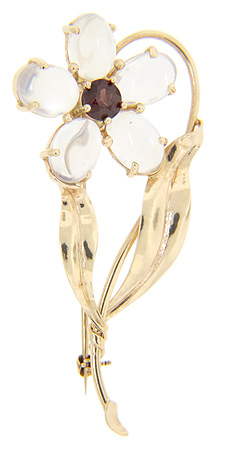 Each of the five polished moonstones represents a single petal of the flower. A pair of golden leaves complete the floral motif. The vintage pin measures 2 1/8” in height by 1” in width. Circa: 1940.